Sign up for Broadjam today to follow Carmen Rodgers, and be notified when they upload new stuff or update their news! 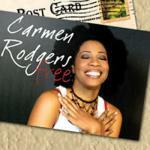 After releasing the critically acclaimed and sweet-sounding album Free six years ago, Carmen Rodgers, the lyrical psychologist who turns happiness and heartache into melody, is back and better than ever. 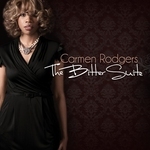 The Bitter Suite, part one of Carmen's highly anticipated sophomore album, was recently released to rave reviews worldwide. 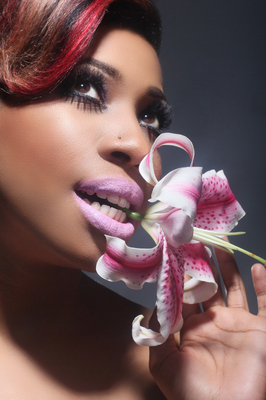 Similar to her debut album, the melodramatic EP aims to dazzle listeners with a captivating and compelling R&B, Jazz and Soul mix. Fans and listeners can expect the second half of the two-part release called Intermission Fall 2012 featuring a duet with Anthony David and additional production by Ty Macklin (Erykah Badu, Sy Smith), S1 (Producer of Kanye West's "Power," Musiq Soulchild, Lupe Fiasco), Deonis '"Pumah" Cook and Daniel Jones. The debut singles, "It's Me" and "What Hurts You" are also now available digitally.